Harry Potter is my fave! 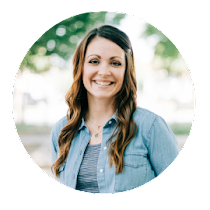 I've read all of the books multiple times and my kids and I watch the movies on a regular basis. We are all BIG fans! 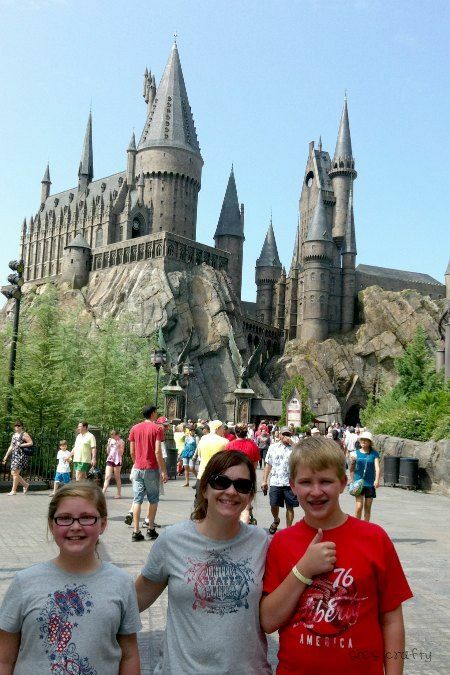 We've been to the World of Harry Potter at Universal Studios in Florida. 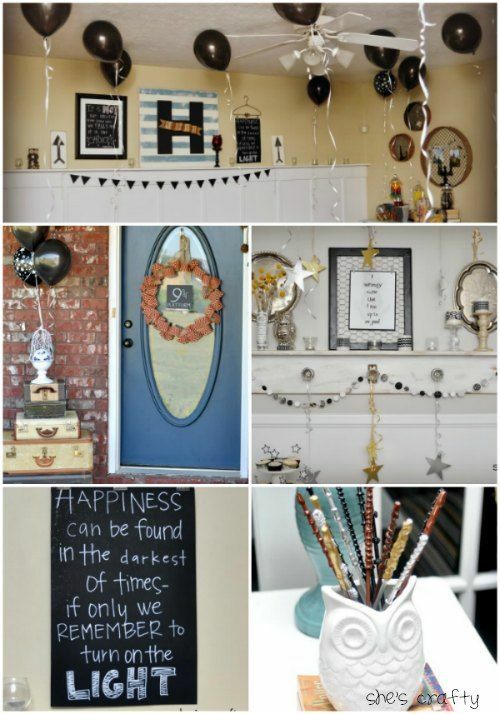 Last year my daughter had a Harry Potter birthday party. It was so much fun! This week is Harry Potter's birthday. So I made a few projects with the HP theme! 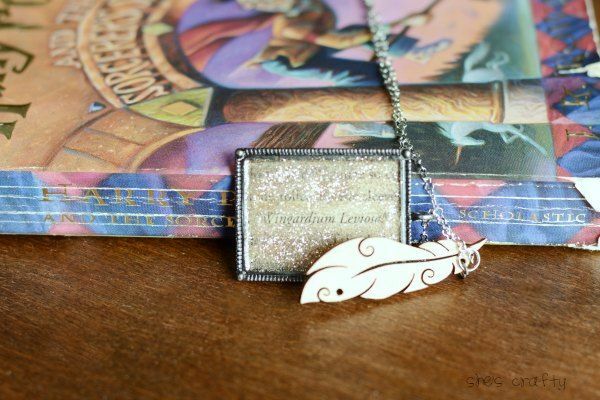 The first project I did is this Wingardium Leviosa feather necklace. cast to make a feather float. 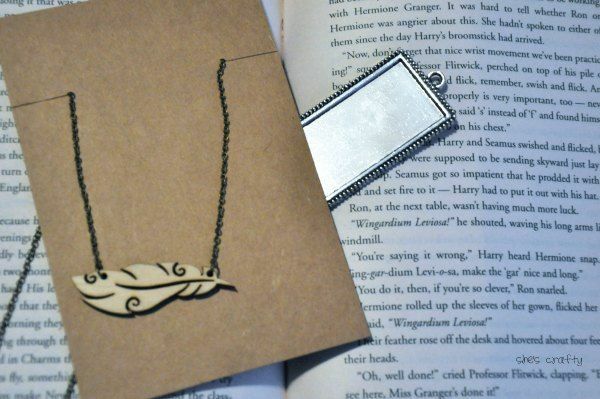 For this project I used a wooden feather necklace (from Michaels), a necklace pendant blank (amazon link) and the page in the Harry Potter book where it actually says, "Wingardium Leviosa." 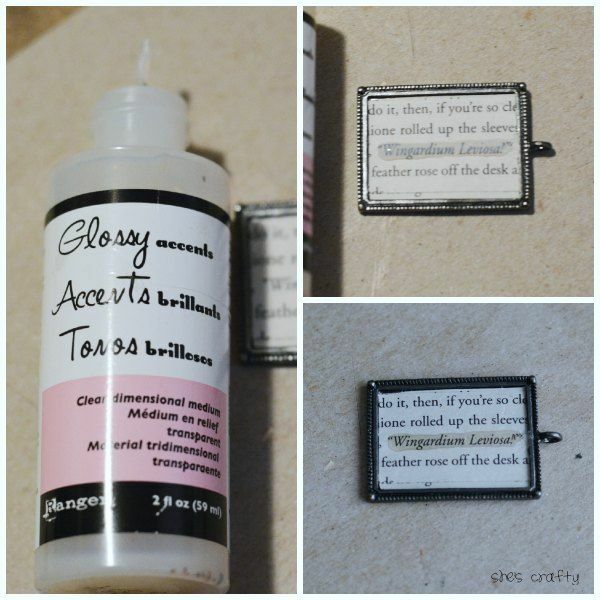 I cut out the section in the book that I wanted and glued it to the inside of the necklace blank. I waited for that to dry. 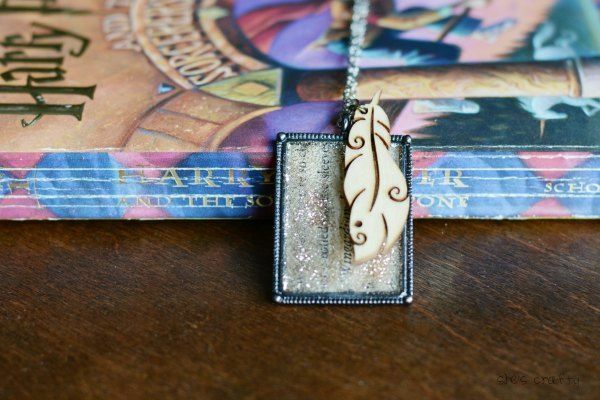 Then I filled in the rest of the pendant blank with glossy accents and sprinkled gold glitter into it. Then I let that dry. 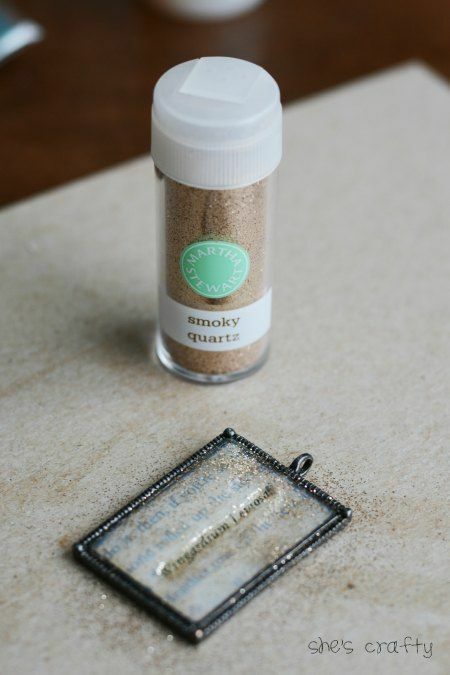 Don't try to brush the excess glitter off until its entirely dry and set. Give at least 5 hours or so. I may have tried to brush it off early and messed up the surface a bit. I took the feather necklace apart and discarded the chain. 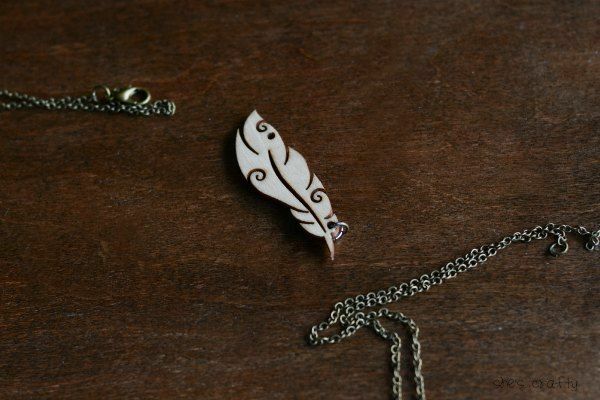 I strung the pendant onto a different necklace chain along with the wooden feather. 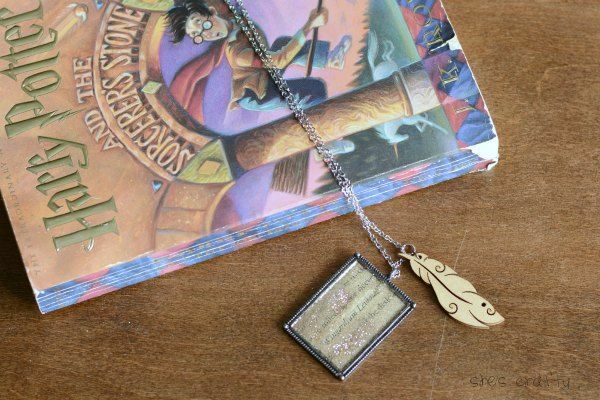 It's a fun little necklace that shows my love of Harry Potter! What a wonderful gift idea for someone who just can't get over the greatest series of all time, and that too just in time for the holiday season.